The holidays are approaching, and amidst all of the celebrations there are also a great deal of obstacles to navigate to keep your gut as healthy as possible. 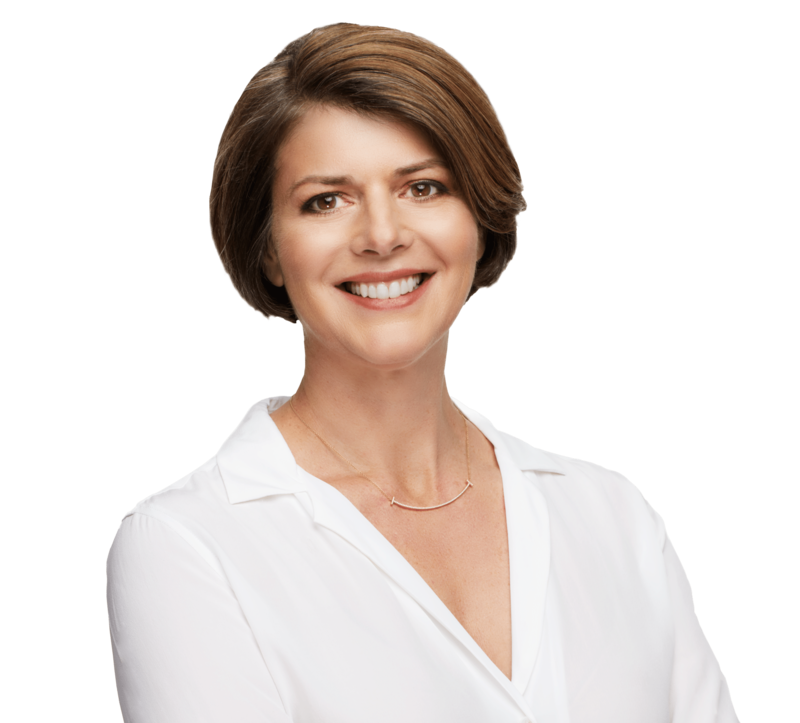 Even if you’ve been following The Myers Way®, you know how easy it is to have your progress derailed when faced with the array of stresses and indulgences of the holiday season. Trust me—it happens to the best of us! As you know, your gut health affects your overall health. Without some extra TLC to keep your microbiome balanced, the holiday season can wreak havoc on your gut. The combination of alcohol, indulgent desserts, and seasonal stress leaves you susceptible to inflammation and gut infections, particularly Candida overgrowth. 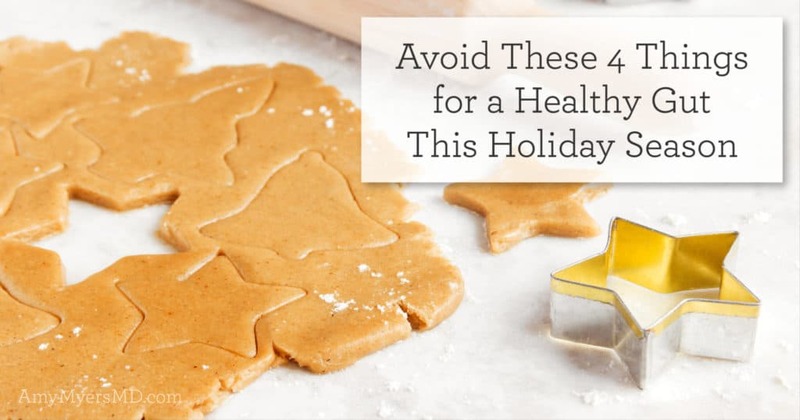 Luckily, I have four tips for you so you don’t have to worry about the holidays setting you or your health back! “Be prepared” is my motto! 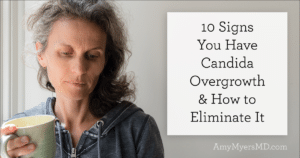 By preparing for success and being aware of the top seasonal culprits behind Candida overgrowth, you can keep your gut in tip-top shape through the holidays, into the new year, and beyond. Here are four danger zones to watch out for, so you can make smart choices and maintain optimal health this holiday season. Even if you abstain for the rest of the year, holiday celebrations might tempt you to indulge in a few glasses of wine or a cocktail or two. After all, you think, what’s the harm in one day of “letting loose”? It turns out, even a single episode of overindulging (having a blood alcohol concentration of 0.08g/dL or more) can cause leaky gut and a significant increase of bacterial toxins in your bloodstream.1 When your gut is leaky, inflammatory food particles and yeast can also permeate your gut lining, leaving you open to immune flare-ups and Candida overgrowth. What’s more, alcohol is essentially liquid sugar. Sugar in all its forms feeds the bad bacteria and Candida in your gut. Alcohol can also impair your judgment and willpower, so you are more likely to reach for a second or third holiday sugar cookie when imbibing. And what’s worse, beer and wine are fermented by yeast. So if you suspect you may already have Candida–or are hoping to avoid it this holiday season–drinking beer or wine would be akin to throwing fuel on the fire. Of course, you don’t want to miss out on all the holiday fun! If you’re content with having a tasty beverage to sip on that’s got a little zing to it, a “mocktail” can be a great way to celebrate without the negative effects of alcohol. I’ve got a number of tasty mocktail recipes in The Autoimmune Solution Cookbook that will keep your gut happy and you in high spirits, including my delicious Blackberry-Basil Mule, Strawberry Mojito, and wine-free Sangria! And if you do choose to celebrate with alcohol, my recommendation is to stick with a clear liquor such as vodka, mixed with soda water and a squeeze of citrus for flavor. The key is to keep it to just one drink a day for women, and two for men. This is the amount of alcohol that your body can safely detox without any serious consequences. After that, switch to mocktails for the rest of the night! During the holidays we are surrounded by an overload of sweet treats made with refined sugar. Sugar can adversely impact your health in multiple ways, including changing the way your gut functions. Like alcohol, sugar is an inflammatory food that can cause leaky gut and put you on the path to autoimmune disease.2,3 Consuming sugary foods and beverages leads to increased production of advanced glycation end products (AGEs) (which cause oxidative stress), and spikes levels of inflammatory markers such as C-reactive protein (CRP). As you likely already know, inflammation is at the root of almost every chronic disease, including Type 1 diabetes, multiple sclerosis, and rheumatoid arthritis. Sugar even has the power to alter bacterial communities in your gut, determining what types of bacteria and the amount of each that take up home there. This can affect your weight and cause a whole host of issues related to an imbalance of microflora.4 As mentioned above, sugar also directly fuels Candida overgrowth, which leads to its own host of related health issues. Even overindulging in gluten- and dairy-free gingerbread cookies can wreck your gut health if you’re not careful! In fact, gluten-free and dairy-free desserts often have even more sugar than conventional treats to make up for the missing weight in flour and other ingredients. So it’s important to be mindful of hidden sources of sugar. My best advice is to make your own holiday treats, and opt for more natural sweeteners such as those featured in The Autoimmune Solution Cookbook. Some of my favorites are coconut sugar, maple syrup, monk fruit, and stevia. If you’re eating many of the traditional holiday foods such as eggnog, gingerbread, pumpkin pie, and stuffing, it’s quite possible they are filled with gluten and dairy. Gluten and dairy are two of the most inflammatory foods I recommend everyone avoid for optimal gut health. Refined grain products are especially dangerous. Found in abundance at holiday parties in the form of cookies, breads, cakes, and crackers, refined flour can spike your blood sugar, disrupt your delicate gut balance, and create a breeding grounds for Candida to flourish. To protect your gut health this holiday season, it’s best to avoid gluten and dairy at all costs. Because these two foods seem to be ubiquitous at holiday parties, I recommend making your own gluten-free, dairy-free dish to bring so you are prepared with something you know you can eat without causing a flare-up and destroying your gut health. For mouthwatering, seasonal, and autoimmune-friendly recipes to bring to your next holiday gathering check out a copy of my AIP & Paleo Holiday Recipes eBook! This eBook contains 47 amazingly delicious gluten- and dairy-free recipes, including Dairy-Free “Egg” Nog, a gut-friendly version of my mom’s famous Gingerbread, and No-Bake Pumpkin Pies! Even though the holidays are meant to be relaxing and enjoyable, they often end up being a source of stress for many people. Family conflicts, overspending, and the pressure of preparing meals and entertaining large groups of relatives can all add up to a less-than-peaceful occasion. Stress also deeply affects your gut because of the way your brain and your gut interact.14 Studies show that your gut bacteria literally change when you are stressed out. Stress can also increase gut permeability and decrease motility in your GI tract, making digestion less effective.15 This, along with the way chronic stress impairs your immune system, creates the perfect environment for Candida to flourish. To help manage stress throughout the holiday season, scheduling in some “me-time” can be extremely valuable. Since you’ll be spending so much time at holiday gatherings with friends and relatives, it’s essential to block off time each day when you can focus on YOU: do some yoga, get a massage, or just enjoy some time “vegging out” to unwind from the hectic holidays.